Writing a will is like writing an instruction manual for your legacy. Your will, if properly drafted and valid, dictates the distribution of your property and largely influences how your close friends and family will remember you. Find the will requirements in Title 2 of Part 2 of the Massachusetts general laws. Your will must comply with Massachusetts' minimum requirements. You must be at least 18 to write your will and you must not have been declared incompetent in a prior legal proceeding. Title the document "[Your Name] Last Will." Beneath the title, further declare the document to be your will. Write "I, [Your Name and Address], being of sound mind and understanding the nature of my estate, declare this document to be my will." Revoke prior wills and codicils. This ensures that the document you are writing remains your will. Write "I revoke all prior wills and codicils." Appoint a personal representative and choose an alternate. This person is responsible for handling your affairs when you pass away. Write "I appoint [Person's name and address] as my personal representative. If [he or she] is unable or unwilling to act in this capacity, I appoint [Alternate person's name and address]." Write out your specific bequests. List the name of a person and state what you want that person to have. After giving specific gifts, give the residue of the estate to someone (such as your spouse). Choose two witnesses to watch you sign the will. Note that the witnesses should be "disinterested" (meaning that you did not give them any specific gifts). While interested witness signatures do not nullify the entire will, Massachusetts law voids any gifts made to them or their spouses. Sign the will in the presence of the two witnesses. 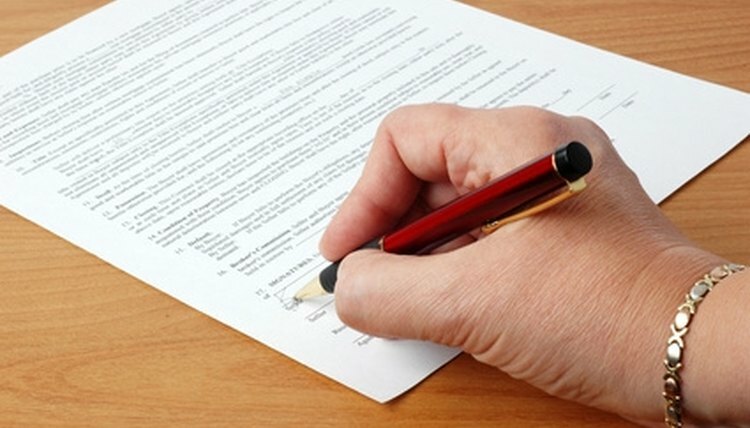 Consider having the will notarized to ensure its authenticity. Lawrence, George. "How to Write a Will in Massachusetts." , https://legalbeagle.com/6824689-write-massachusetts.html. Accessed 26 April 2019.